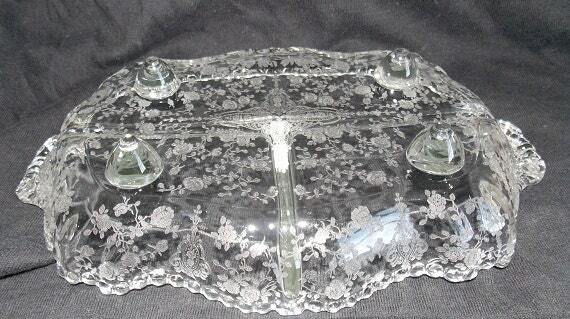 A lovely vintage serving tray by the Cambridge Glass features an all-over etched floral design. 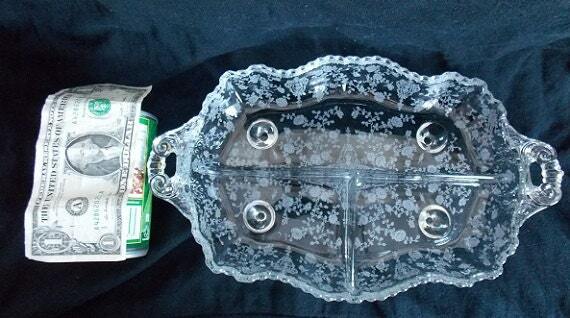 This footed dish is equally divided down the middle with scrolled handles at each end. It is again divided equally to one side. 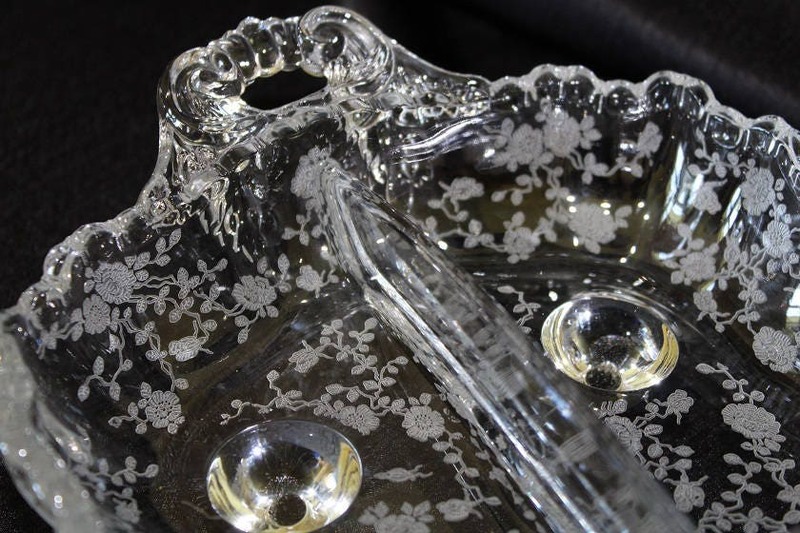 This bowl sits on 4 rounded feet and has an ornate scalloped rim. Please note: M&Ms are not included!